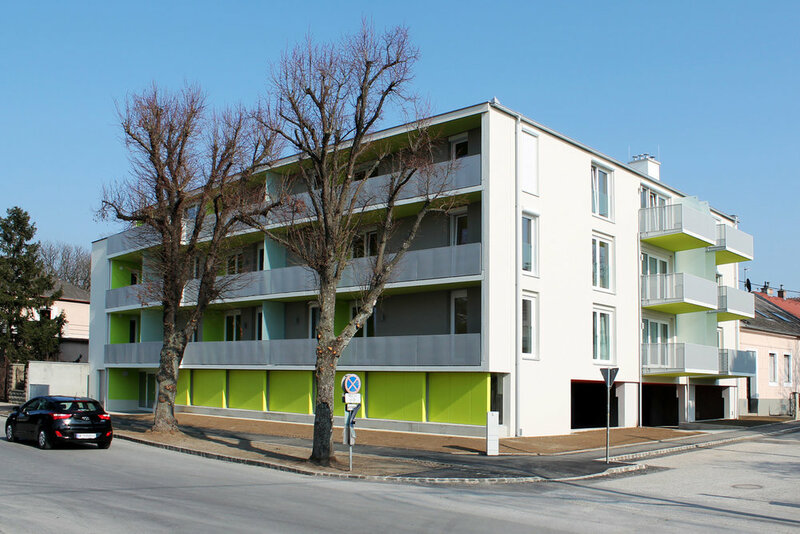 SIRS delivered a compact housing block with 14 units from feasibility to handover. Whilst the site is constraint by a close-by railway track, the main apartment orientation is westwards, allowing scenic views into the Moravian fields and spreading a kind of holiday-mood. To meet the tight budget and compact program, the building was primarily constructed with prefabricated elements, reducing construction time and associated costs. In collaboration with zeininger architects.